Schedule your rooms, employees and other resources with our all-in-one solution for generating quotes, invoices and reports - on the desktop, or online. Link tasks, employees, equipment and other items from the user-defined database. Automatically check for conflicts on all linked items. Get an instant job costing as soon as the job is created. 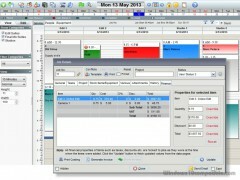 Print invoices per job, client or project. Create reports on all items, including financial reports. Use Job Designer online or on a network with minimal setup procedures. And much more.... Scheduling is simplified with the side-by-side service, employee and equipment layout, making it possible to see available times and current entries/conflicts at a glance. Creating a job is easily done by simply dragging from start to end time, right-clicking, and selecting a client. 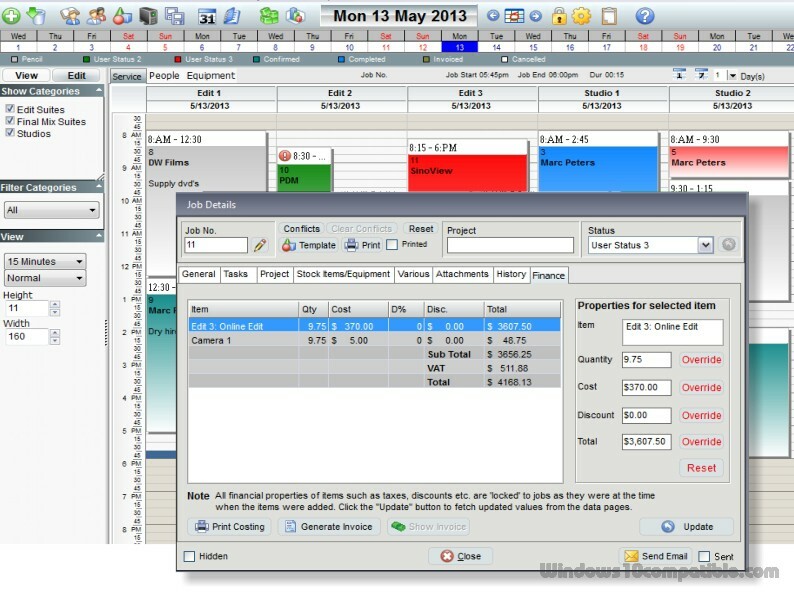 Once a job is created in the room scheduler or any of the other scheduler views, it is possible to link multiple tasks, equipment, staff, stock and other items from the existing database. Jobs are color-coded by user defined status types.